The Nikon D5600 comes with the same sensor like its two predecessors, the D5300, and D5600. Therefore, the lenses we’ve recommend are absolutely the same because you get the same quality and performance. Capable, Compact, and connected, the Nikon D5600 is a sleek DSLR that blends multimedia imaging capabilities with versatile wireless technology. It’s a perfect DSLR camera for entry-level photographers! Nikon D5600 features a 24.2MP DX-format CMOS sensor with EXPEED 4 Image Processor. It offers you a sensitivity range from ISO 100-25600 continuous shooting up to 5 fps for working with moving subjects. Its large, high-resolution sensor and extensive ISO range help to give you high-quality videos and stills in nearly all conditions, from sunny skies to dimly-lit concerts. With SnapBridge, your photos instantly transfer to a compatible smartphone or tablet for fast, easy sharing. Below are our recommended lenses for Nikon D5600 DSLR camera based on good price, usefulness and high image quality. It’s an excellent all-in-one telephoto zoom which can capture all of them beautifully using a single lens! It is the best solution when you need to pick only a Nikon D5600 lens. Surprisingly lightweight and compact for a 16.7x zoom lens, the Nikon 18-300mm f/3.5-6.3G ED VR draws an excellent performance from Nikon DX-format DSLRs, It’s a highly versatile second lens. It can do just about anything—stills images, videos, landscapes, interiors, portraits, wildlife. You can catch stunning close-ups of concert performers and athletes as quickly as wide scenic shots. It’s compactness, balanced design and Vibration Reduction technology helps to keep photos sharper and videos steadier. And, the lens’ fast and quiet autofocus system helps to minimize camera noise when you’re recording videos. And it weighs which is way less than the Nikon 18-200 mm f/3.5-5.6G VR II. 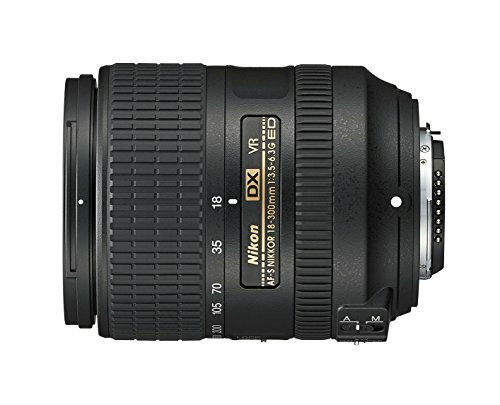 The Nikon 18-200 mm f/3.5-5.6 is an extremely popular and all-purpose Nikon D5600 lens for everything. Thanks to a combination of excellent image quality and with big zoom ranges, 18mm enough for landscape, 200mm ideal for all sporting activities. The best Nikon D5600 lens has excellent sharpness when at tele and wide end. It is entirely compatible with DX cameras. 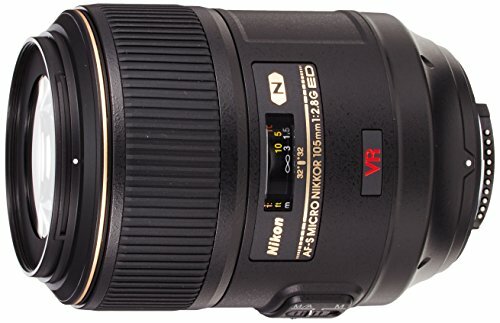 The biggest shortfall of the 18-200mm VR II is that it does not quite have the reach for certain types of telephoto photography. But for travel and use as an all-in-one walk-around lens, Nikon 18-200mm is really an excellent pick. It’s a magnificent Nikon D5600 lens offering outstanding image quality with fast, smooth, and accurate focusing. With a focal length measuring 20mm and F1.4 aperture, this lens gives you exceptional large-aperture brightness and bokeh, offering unparalleled visual experiences. The wide-angle and outstanding image quality make this lens for Nikon 5600 perfect for cityscape, seascape, and astrophotography. It’s also good for photos in low light, indoor photography, portraits, and event and wedding photography. It’s also ideal for snapshots in low light, indoor photography, portraits with a natural bokeh effect, and much more. World’s first 20mm F1.4 lens with its advanced large-diameter aspherical lens manufacturing technologies. 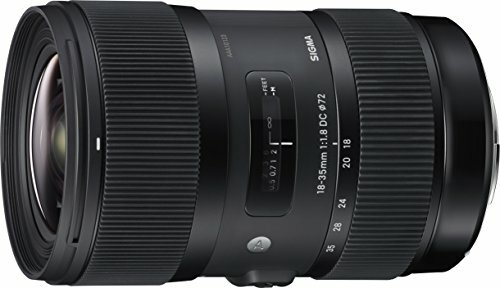 To offer an ultra-wide-angle 20mm focal length and F1.4 brightness at wide-open aperture, Lenses of this type had been considered tough to manufacture, but SIGMA took on the challenge to realize an F1.4 ultra-wide-angle lens. It fulfills the strict performance requirements of the SIGMA Art line. 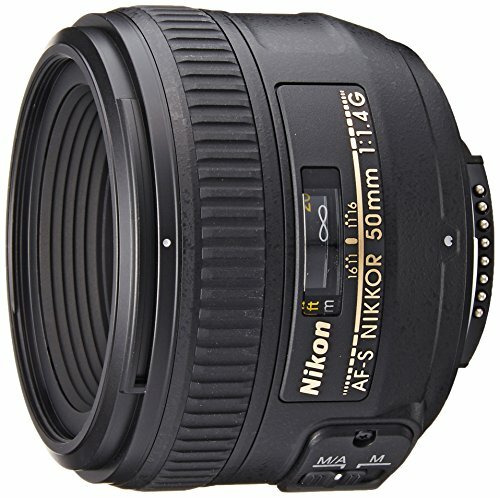 It is Nikon’s best DX format wide-angle lens. It comes when wider and sharper than any other comparable lens. It’s excellent for landscape photography and architecture. The best lens for Nikon 5600 images is sharp with excellent color and contrast. And the lens zoom range is equivalent to 15-36mm on a 35mm camera. It covers virtually all of the useful focal lengths from ultra-wide to a field of view which is standard. 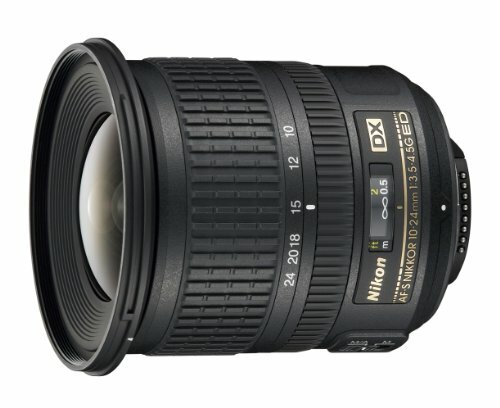 The Nikon 10-24 mm f/3.5-4.5G ED DX offers close focusing to 0.8 feet with Internal Focus (IF) plus Nikon SWM (Silent Wave Motor) for fast and pinpoint focusing. Select NIKKOR lenses come with a focusing mode which allows you to switch from automatic to manual focusing. It is with virtually no lag time by simply turning the focusing ring on the Nikon D5600 lens. With this lens, it’s possible to seamlessly switch to fine manual focusing when looking through its viewfinder. Being one of the best lenses for Nikon D5600, it’s versatility is enough to allow focusing on subjects as close as 0.8-ft. Featuring tons of Nikon technologies, you can be certain that your world will always be captured with remarkable clarity. What an excellent lens! It is the fastest lens ever to be made by Tokina. And you’ll love its extreme sharpness! The 13 elements, 11 groups of optical design come with a plastic-molded Aspherical element, two Super-Low Dispersion glass elements plus two glass-molded aspherical elements made of SD glass. Combining aspherical and low dispersion elements helps you to cut down on chromatic and spherical aberrations all through the zoom range. It gives increased clarity, sharpness, and color accuracy. The fast F/2.0 aperture lens produces an equivalent 21-30mm zoom range. Its super-bright and constant F/2.0 aperture make viewing, autofocus and shooting possible in very low light situations.It still maintains a reasonable size and weight. Paired with an internal focusing design to give quick AF performance, this Nikon D5600 lens features a One-Touch Focus Clutch Mechanism. It’s for switching between AF and MF modes. By sliding the focusing ring back or forth, you can quickly change between focusing modes. Highly Recommended! The Sigma 35mm f/1.4 DG HSM Art is a Nikon D5600 lens you must have for any camera bag. As a professional-level Nikon D5600 lens, it targets a variety of photography needs. These might include portraiture, landscapes, and travel. It’s the 35 mm f/1.4 Sigma lens to fall into the “Art” category. Thanks to its large aperture of f/1.4, the lens is ideal for low-light photography. It can effectively isolate subjects from the background due to its shallow depth of field. It has beautiful background rendering highlights. 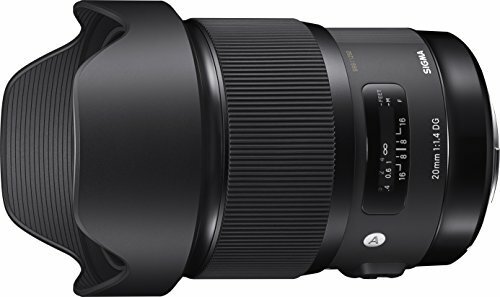 Unlike cheaper cropped-sensor lenses, the Sigma 35 mm f/1.4 is designed to work on APS-C / DX with full-frame / FX sensors. This lens for Nikon D5600 rivals fast 35 mm primes from Canon, Nikon, and Sony. Unlike the branded versions that are in the $1500 range price-wise, the Sigma is the cheapest of the group. With a compact, lightweight design, the Nikon D5600 35mm f/1.8G lens provides high reproduction capability plus picture quality at an affordable price. A must-have for any DSLR shooter, this compact and lightweight prime lens for Nikon D5600 will get great images at any skill level. With a f/1.8 maximum aperture, this Nikon D5600 lens is very useful in low-light conditions. It also has one aspherical element which helps to control distortion and aberrations. It’s one of the best lenses for Nikon D5600 for low-light conditions, travel, environmental portrait, street and general photography. The secret to coming up with beautifully blurred backgrounds in your photos and videos is to use a Nikon D5600 lens with a wide maximum aperture. 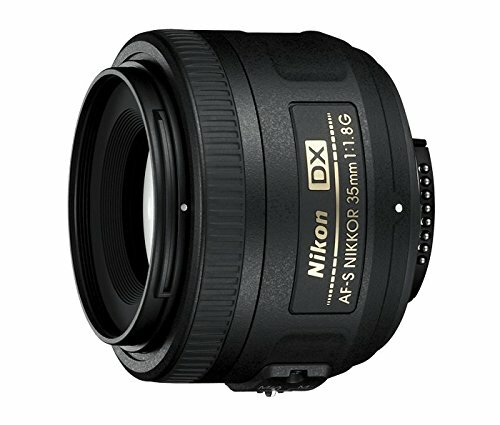 The AF-S DX NIKKOR 35 mm f/1.8G’s maximum aperture is f/1.8, to provide a complete depth-of-field control. It helps to isolate your subject and to create stunning portraits. The AF-S DX NIKKOR 35 mm f/1.8G when shot at f/1.8 gives beautiful soft background blur to make the subject stand out. Highly recommended, it’s the first lens to buy for Nikon D5600. 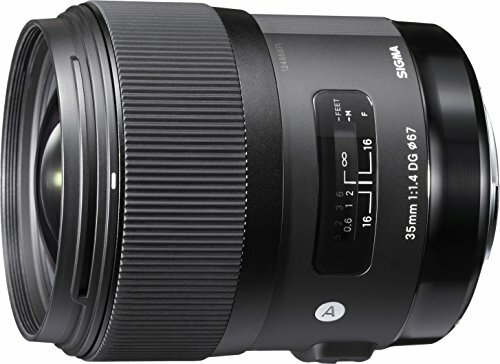 The Sigma 18-35 mm 1.8 DC HSM Art lens is a new benchmark in photographic history. It’s a must-have for every camera bag. It is the first wide-angle to standard zoom lens to achieve a large aperture of 1.8. 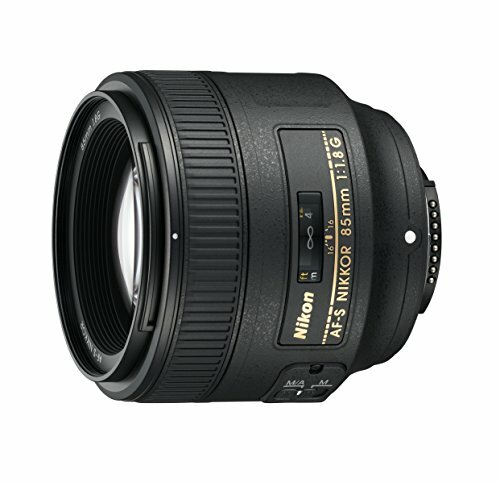 The Sigma 18-35 mm f/1.8 Art is ideal for landscapes, portraits. Still life, snapshots, casual, and close-ups and the Hyper Sonic Motor (HSM) ensure smooth, fast and accurate autofocusing. This Nikon D5600 lens is part of Sigma’s Art line. It is well-suited to creative image making due to its large, constant f/1.8 maximum aperture. This Nikon D5600 lens can produce beautiful bokeh by way of a nine-blade circular diaphragm. The range of focal lengths it covers, from wide-angle to normal-length, is nicely situated for everyday and artistic shooting applications. Constructed with a TSC compound material, this lens for Nikon D5600 is lightweight. It also exhibits notable durability and resistance to environmental changes. 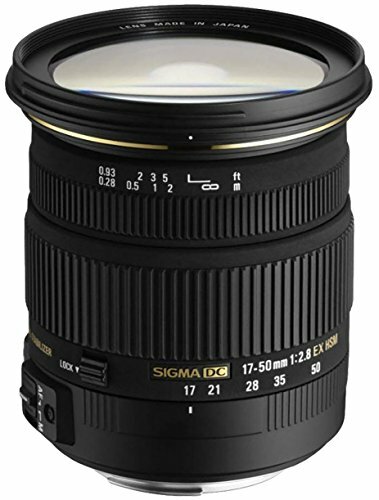 The highly recommended Sigma 17-50mm f/2.8 EX DC OS HSM comes with a large-aperture standard zoom lens. It covers a 17-50mm focal length equivalent 26-75mm. It also offers a large aperture of F2.8 throughout the entire zoom range. This Nikon D5600 lens is ideal for many types of photography. These include events, press, weddings, portraits, and general use mainly landscapes and portraiture. The OS, Sigma’s anti shake mechanism offers the use of shutter speeds approximately four stops slower than would be possible. HSM provides fast and quiet AF. The Super Multi-Layer coating cuts flare and ghosting. This Nikon D5600 lens comes with superior peripheral brightness. It provides sharp and high contrast images even at the maximum apertures. If you have any photographic opportunity, even little light, then this Sigma is one of the perfect lenses for Nikon D5600. Compact and lightweight, it’s a necessary addition to your camera bag. 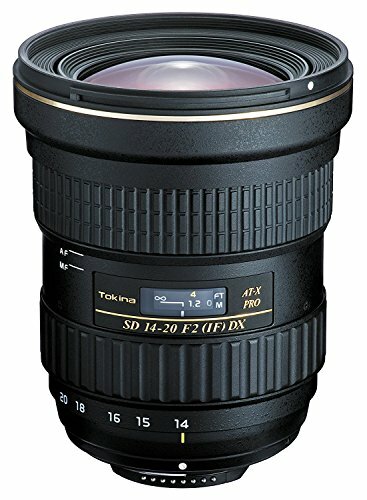 Ranking as a best FX telephoto zoom, this high-speed standard to telephoto zoom lens has a fast f/2.8 maximum aperture through the zoom range. It is a high-speed telephoto zoom lens with Vibration Compensation image stabilization and Ultrasonic Silent Drive in its category. Tamron SP 70-200 mm f/2.8 offers superior image quality accentuated by advanced Vibration Compensation for image stabilization. It also has an Ultrasonic Silent Drive Motor to give a smooth, quiet, and precise autofocusing. Customers who consider themselves Semi-pro photographer are the ones who usually use this lens. 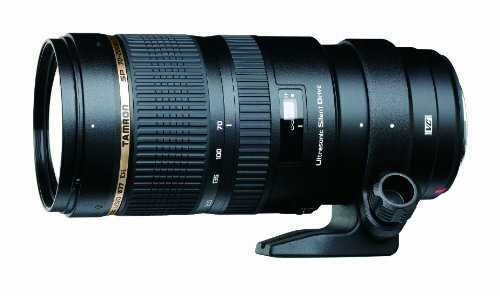 The Tamron 70-200mm f/2.8 DI USD is popular because of its consistent output and durability. It also has other features like fast and accurate auto-focus, Nice bokeh, Rugged and sturdy build. 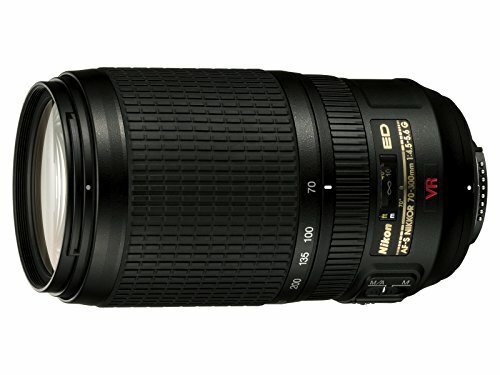 The compact, lightweight AF-S VR Zoom-Nikkor 70-300mm f/4.5-5.6G IF-ED delivers 300mm of telephoto. 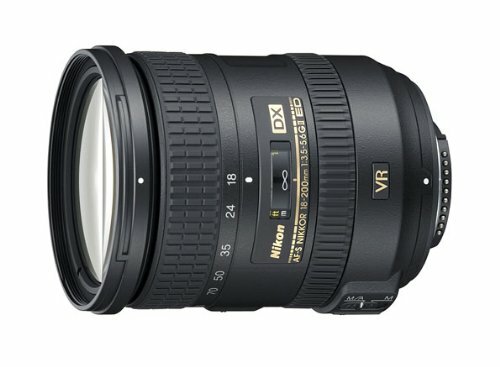 It reaches 450 mm equivalent of DX-format D-SLRs using Nikon’s second generation of Vibration Reduction (VR II). It enhances low light and handheld shooting. Being powered by Nikon’s exclusive Silent Wave Motor this best Nikon D5600 lens has ultra-fast and ultra-quiet autofocusing. It is optimized with modern enhancements in lens design. It then can draw a peak performance from FX- and DX-format DSLRs cameras. You don’t have to carry a tripod and create stunning still images and HD videos from any distance. Being one of the best lenses for Nikon D5600, it provides the equivalence of 2.5 shutter speed stops. It helps in capturing sharper images in low light or at extended zoom lengths. Macro photography promises fun and unique ways of capturing the things that amaze you most. It doesn’t matter whether it’s, the eye of an insect, the tiny toes of a newborn baby or the petal of a flower. 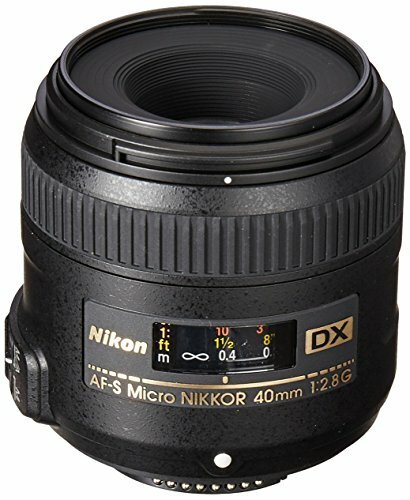 The AF-S DX Micro NIKKOR 40 mm f/2.8G gives high resolution and contrast from infinity to life-size (1X). You can then focus extra close on your subjects which allows you to get lost in the tiny details of life. This standard close-up Nikon D5600 lens captures the finest details at any distance. It includes details practically impossible to detect with the human eye at 1X magnification. This lens for Nikon D5600 is an excellent option for enticing detailed product shots or food photography. And, with continuous autofocus from infinity to 6.4 inches life-size/1X, the Nikon D5600 lens ensures sharpness and clarity in every composition. It comes with Nikon Super Integrated Coating, which is Nikon’s term for its multilayer coating of the optical elements in NIKKOR lenses for Nikon D5600. When you need greater working distance for close-up and macro shooting, the AF-S Micro NIKKOR 105mm f/2.8 delivers. It offers you 105mm of reach, exceptional image quality with a fast f/2.8 maximum aperture plus reproduction ration of 1:1. It features advanced Nikon lens technologies like Silent Wave Motor and Vibration Reduction image stabilization. This D5600 Nikon lens is optimized for close-up and macro photography. However, the Nikon D5600 lens is versatile enough for all photographic situations even handheld shooting! The Nikon105 mm f/2.8G IF-ED’s remarkable performance is the result of Micro NIKKOR’s rich legacy in the field of close-up photography. It combines innovative Nikon lens features. The lens has superior VR image stabilization system, ultra-fast, and ultra-quiet Silent Wave Motor. The AF-S VR Micro-NIKKOR 105mm f/2.8G IF-ED is an advanced lens which empowers the full potential of advanced D-SLRs. It’s a Nikon D5600 lens in which only the internal lens group shifts during focusing. These lenses are designed with the abbreviation IF on the lens barrel. Expect outstanding image quality with edge-to-edge sharpness and high contrast when you use the AF-S NIKKOR 50mm f/1.4G lens. It’s brilliant for portrait photography, and general use focuses as close as 1.5 feet. The lens is suitable for video recording as well. The AF-S NIKKOR 50 mm f/1.4G delivers a classic, “normal” 50mm angle of view when you use it on an FX-format DSLR or 35mm film camera. When used on a DX-format camera, however, it becomes an ideal portrait lens for Nikon D5600. It approximates the moderate telephoto perspective of a 75mm lens on an FX-format DSLR or 35mm film camera. This Nikon D5600 has close focusing to 1.5 ft which extend versatility. Designed for use on Nikon’s FX-format digital cameras, it’s an updated medium telephoto f/1.8 Nikon D5600 lens. It is useful when shooting still images and HD videos. The AF-S NIKKOR 85mm f/1.8G features Nikon’s Internal Focus system. It provides fast and quiet AF and produces sharp and clear images at all apertures. Its fast maximum aperture is ideal for taking stills or HD videos when under perfect lighting. It’s excellent for low light, head and shoulder portraiture, weddings or concerts. When mounted on a DX-format D-SLR, the AF-S NIKKOR 85mm f/1.8G has an effective field of view of 127mm. This medium telephoto portrait lens is ideal for use in the studio, on set or for shooting in available light. It produces stills or HD video of people with beautiful skin tones and beautiful background blur. With its fast f/1.8 aperture, this AF-S NIKKOR 85mm f/1.8G lens will capture even low-light situations with stunning brilliance. When it comes to DSLR photography, things might get a little complicated. It is particularly the case when you’re making the first purchase of your lens. Do you choose a wide angle lens, a zoom lens, a prime lens or even one with a fixed aperture? A zoom Nikon D5600 lens will allow you to zoom which isn’t too surprising. The advantage of a zoom lens is the ability to zoom in and out on your subject to create the perfect composition. Most photographers favor zoom lenses for Nikon D5600 because of this function. A prime lens doesn’t allow you to zoom at all. You’re limited to one focal length. Prime Nikon D5600 lenses have lower aperture values, and some of them go right down to f1.2. It means that a lot of light can enter the camera lens this is useful when shooting in low light environments. Some lenses have built-in image stabilization. It allows you to a certain degree to shoot at lower shutter speeds without motion blur. It is useful in certain situations, but it can also be a waste of money. If you’re shooting fast-moving images, then chances are you won’t need image stabilization, the same applies if you use a tripod. The f-stop numbers are essential when picking your Nikon D5600 lens. The lower the F-stop, the more light gets into your camera. Meanwhile, the higher the f-stop the least amount of light can enter. Both ranges have their uses. There are focal lengths that you will need to take into account when purchasing a new lens for your Nikon D5600. If you enjoy shooting nightclub photography or wildlife photography, then chances are you will need something wider than 50mm. Wide angle lenses for Nikon D5600 are mostly used for landscape photography. They can also be used for nightclub photography where there’s not too much room to move around. The image quality for this Nikon D5600 lens is excellent. A medium range isn’t too short or long. It lies in the middle, hence the name medium. Medium range lenses are good for portraits, model shots, and even wedding photography. However, if you are thinking of shooting weddings, then this is a must have the bit of kit. If you’re to shoot wildlife, sports or even glamor photography, then a telephoto lens is something you will want to invest in for your Nikon D5600. These types of lenses are very expensive but when we are talking about photography most things are. Overall selecting a lens doesn’t have to be a stressful experience. To help you decide simply think of what you will be using your Nikon D5600 camera for. Are you to use the lens for wildlife pictures, sports, portraits or even close up photography? It can help you choose the required lens for Nikon D5600. If a fixed aperture lens is affordable to you, then go for it. I would recommend getting the lowest aperture that you can afford. Not only will this leave in more light but it will also give your images the blurry background effect that you see on most professional photographs.